Silent Spring was quickly available in Europe and across the world. Translations were published in German in 1962; in French, Swedish, Danish, Dutch, Finnish, and Italian in 1963; in Spanish, Portuguese, and Japanese in 1964; as well as in Icelandic in 1965, Norwegian in 1966, Slovenian in 1972, Chinese in 1979, Thai in 1982, Korean in 1995, and Turkish in 2004. Abridged selections also appeared on the pages of popular periodicals. Hundreds of thousands who never picked up the book could read Carson’s words on the pages of the popular French magazine Paris-Match and the regional newspaper La Dépêche du Midi, the Italian journal L’Europeo, the Dutch weekly newspaper Elseviers Weekblad, the Swedish magazine Vi, or Helsingin Sanomat, the largest Finnish newspaper. Dozens of reviews appeared in every major Western European nation as well as in communist Hungary and Yugoslavia. Sweden and Finland: Where did the birds go? Swedish headline: “When the Birdsong Falls Silent.” All rights reserved © 5 February 1963 Vi magazine. In Sweden Silent Spring provoked even more controversy than in the United States. It even changed the language. Carson had argued that because agricultural chemicals get into the soil and water and poison all living things from worms to humans, “insecticides” should more correctly be called “biocides.” As soon as the book appeared in Swedish, “biocides“biocid”” replaced “pesticides“pesticid”” in common language, which occurred nowhere else. Erik Rosenberg, Sweden’s leading ornithologist, raised the alarm about the disappearance of the nation’s birds. All rights reserved © SVT - Sveriges Television Photographer: Jarl Ekenryd (Skansen). Swedes reacted so strongly to Silent Spring in part because of an uproar caused by a recent series of newspaper articles and ornithological society publications about deaths of birds from treated seed-grain. 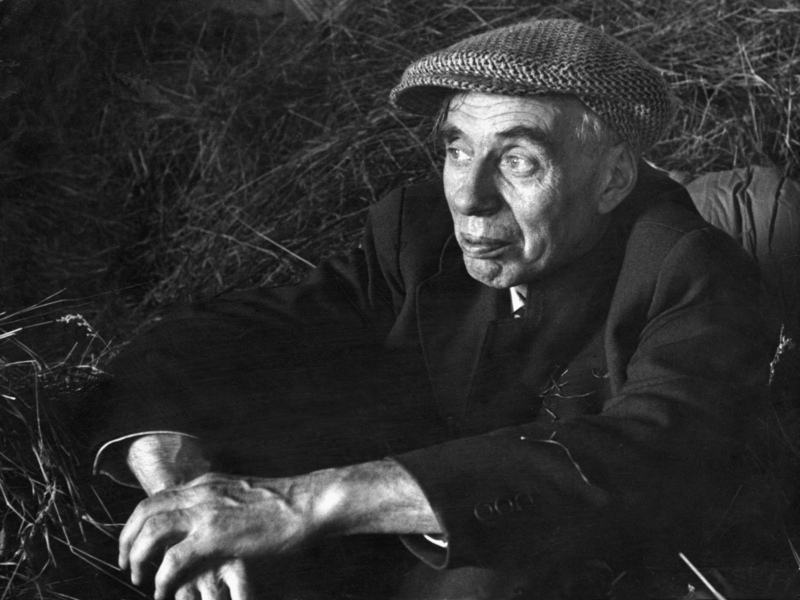 Famed ornithologist Erik Rosenberg, author of Fåglar i Sverige [Birds of Sweden], the chief popularizer of bird-watching among generations of Swedes, had been raising the alarm about the decline of bird populations. His article “Vart tog tornfalken vägen?” [Where did the kestrels go?] came out in Sveriges Natur in 1963, a few months after the Swedish translation of Silent Spring. The disquieting disappearance of Sweden’s birdlife made a “silent spring” all too easy to imagine. Nils Dahlbeck (wearing the hat) was a well-known pioneer in Swedish radio and television. On his popular radio program, “Naturen och vi,” he publicized Silent Spring. All rights reserved © SVT - Sveriges Television Photographer: Jarl Ekenryd (Skansen). Also at this time, environmental activist Nils Dahlbeck was broadcasting reports on his influential radio program “Naturen och vi” [Nature and us] about the problem of mercury pollution, an industrial and paper-mill byproduct that poisoned fish, birds, and humans. Although Carson never mentioned mercury, the issues merged and provoked a huge public outcry. Conferences and meetings on pesticides convened even before release of the Swedish edition in 1963. The national media, including Dahlbeck on the radio, gave Silent Spring a great deal of publicity. Several important Swedish environmental works followed Carson’s, notably Hans Palmstierna’s Plundring svält förgiftning [Plundering starvation poisoning] of 1967. Moving quickly, the government responded to both pesticides and mercury. In 1967, Sweden became the first nation to establish a comprehensive environmental regulatory agency, the Environmental Protection Board. The following year, it also became the first to pass comprehensive environmental protection legislation, the Environmental Protection Law. When investigations in 1969 showed DDT from wind and rain significantly augmented the amount used by farmers and ended up even in human milk, Sweden was the first country to act broadly against persistent pesticides. The Swedish government acted so rapidly because Silent Spring benefited from an existing Swedish tradition of environmental concern that had produced some of Europe’s oldest and most popular nature protection organizations. Moreover, such environmental cautionary books as Elin Wägner’s 1941 Väckerklocka [Alarm Clock] had prepared paved the way. It was also helpful that Swedish political culture was open to new social issues and had a pragmatic, managerial approach to problems that made a quick response possible. Finland took note of the lively debates in the US and neighboring Sweden. 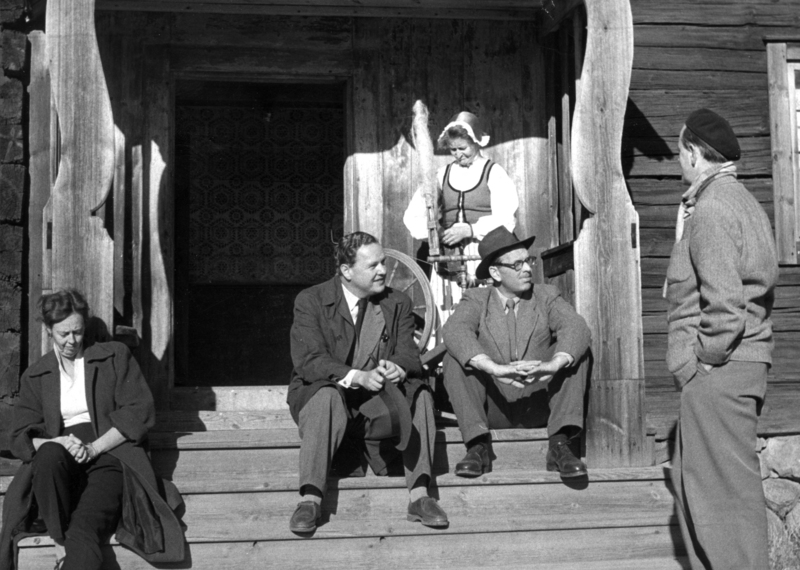 Soon Finns were debating Silent Spring themselves. Under Swedish influence, “biocide” also entered the Finnish language. Nevertheless, Finnish response was muted because Finnish farmers had been slow to adopt chemicals. Son of the famous polar explorer Ernest Shackleton and famous in his own right for his work in conservation, Lord Edward Shackleton wrote the preface to the British edition of Silent Spring and participated on 20 March 1963 in a historic five-hour debate on the book in the House of Lords. All rights reserved © National Portrait Gallery. The British edition of Silent Spring came out in February 1963. The Duke of Edinburgh, Patron of the National Trust for Nature Conservation, handed out advance copies. Minister of Agriculture Christopher Soames acknowledged the value of Carson’s book for inspiring useful debate. On 20 March, at the instigation of Lord Shackleton, who wrote the preface to the British edition, the House of Lords discussed it for over five hours in an unprecedented debate over a single book. However, the British government had for a decade already been dealing with the problems Carson disclosed, and in any case farmers did not rely as much on chemicals as their American counterparts. The Agriculture Ministry’s chief scientific advisor wrote that in Britain the evidence did not “justify Miss Carson’s gloomy assertions” (Sheail 2002, 236). Since the pesticide problem in Britain was not as bad as in the US, government policy fairly easily absorbed the book’s impact. Government pesticide policy was already a decade old, provoked by the deaths of eight farm workers from weed killer. An Agricultural Ministry Working Group proposed regulations to protect workers that Parliament wrote into law in the Agricultural (Poisonous Substances) Act of 1952. In addition, the Ministry of Agriculture and the Association of British Manufacturers of Agricultural Chemicals followed the Working Group’s recommendation in which chemical companies voluntarily notified the government of new pesticides or new uses of old chemicals and provided data on the chemicals’ properties and safety. A problem had arisen in 1957 when seed-grain treated with aldrin and dieldrin killed thousands of game birds. People worried not only about the birds but about the risks of eating surviving game. Although the chemical industry played down the issue, the Nature Conservancy established the now-famous Monks Wood Experimental Station to study the problem. In 1960 a change in method, from dusting the seed to soaking it, intensified both bird deaths and negative publicity. Industry accepted “voluntary” regulations that restricted treated seed to fall planting, when birds had plenty of other food, and bird die-offs significantly declined. With reason, then, the British government regarded the pesticide problem as under control. However, Carson’s book and the report of the President’s advisory committee (PSAC) heightened the British government’s worries about the danger of several pesticides to human health. Officials found several chemicals marketed by Shell—aldrin, dieldrin, and heptachlor—of particular concern, since they appeared in human fat, although at lower levels than in the United States. Tests found residues in mutton fat, beef, and butter. Extensive debates among various government advisory committees and officials convinced Soames to take a conservative view. Threatened by the possibility of adverse publicity, Shell and the chemical manufacturers’ association reluctantly agreed in 1964 to the government’s desire to ban those pesticides. A disastrous international decline of birds of prey throughout the 1960s stimulated further restrictions and led to British toxicologist David Peakall’s research that first documented that DDT thinned raptor eggshells. 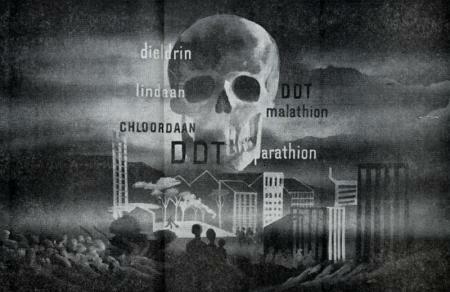 Organo-pesticides like DDT were then gradually phased out. In response to various legal ramifications and worry over the secrecy of the regulatory process, the government put this voluntary system on a statutory basis with the Food and Environment Protection Act of 1985 and the Control of Pesticides Regulations of 1986. All this was accomplished with much less rancor and industry defensiveness than in the United States and with less public debate than either there or Sweden. The popular Dutch weekly Elseviers Weekblad serialized selections of Silent Spring over several issues. Elseviers was the only periodical to commission its own illustrations, which were strikingly dramatic and even lurid. All rights reserved © 1963 Elseviers Weekblad. In the Netherlands, Silent Spring made less of an impression on the public than it did on scientists and government officials, and it angered the chemical industry. Rachel Carson’s biggest Dutch admirer and champion was C. J. Briejèr, director of the Dutch Plant Pest Control Service. Briejèr had written a government report in 1957 that documented growing insect resistance to common pesticides, which the government published and the Dutch press reprinted. It came to Carson’s attention as a document in an American legal suit to stop aerial spraying of DDT across Long Island. Carson had it translated and published in America. She made it the basis for a crucial chapter of Silent Spring, “The Rumblings of an Avalanche.” She initiated a correspondence with Briejèr that continued until her death. Despite the attention-grabbing illustrations of the Dutch edition that accompanied the excerpts published in Elseviers Weekblad, Silent Spring had a much more muted impact in the Netherlands and most of Europe than in the United States. All rights reserved © 1963 Elseviers Weekblad. The help that Briejèr gave Carson provoked political pressure on him and loss of confidence from many within the Plant Pest Control Service. He reported to Carson that the chemical industry had put great pressure on him that stopped when the Kennedy committee issued its report. He resigned in 1965 and wrote his own book, Zilveren sluiers en verborgen gevaren: chemische preparaten die het leven bedreigen [Silver veils and hidden dangers: Chemical pesticides that threaten life], in which he took Dutch bureaucrats severely to task for their footdragging. Briejèr and other Dutch scientists found the cumbersome Dutch government regulatory bureaucracy frustratingly slow. Then in 1966–67 Dutch scientists observed a catastrophic crash in raptor populations due to DDT and a die-off of terns due to pesticides. After that, regulation became much more effective, but the debate occurred mostly in the halls of academia and government. Among the Dutch public, environmentalists alone took real notice of Silent Spring. German periodicals reported on Silent Spring with an array of frightening headlines [We are all being slowly poisoned; The pollution of nature: Rachel Carson’s battle; Poison disrupts the order of nature; Poison on God’s gifts; Spring is not yet silent: misuse of pesticides can boomerang; More dangerous than radioactivity; Do we take small daily doses of poison? ; and Poison rains from the sky. Created by the author from originals at Beinecke Library, YCAL MSS 46 Box 62 f. 1108. Used by permission. In Germany, the League for Bird Protection translated and promoted Silent Spring. Comments and articles appeared widely in newspapers, journals, magazines, and on the radio. The publications of the environmental community, vegetarian groups, and disciples of anthroposophy (a kind of spiritual organic farming movement) took great interest, as did of course agricultural and chemical journals, for different reasons. Nature protection and environmental groups warmly praised the book. As in the US, German chemical companies sought to reassure the public. “German science has insecticides under control,” read one calming headline. While provoking discussion in the short run, Silent Spring appeared to make little longterm impression. West Germans denied that German agriculture had any significant environmental problems. As elsewhere, agricultural and chemical interests played down or rejected the dangers that Rachel Carson exposed. The West German Bundestag did not pass a comprehensive environmental law until 1971 and environmentalism played a relatively small political role until the 1980s. Not until 1983 did the German Council of Experts on Environmental Affairs address pesticide problems. Moreover, only after the German Waldsterben (“death of the forests”) fears of 1984, the 1986 fire at the Sandoz agricultural chemical warehouse in Basel that annihilated all life in the Rhine River for hundreds of miles, and 1986 explosion at the Chernobyl nuclear plant did the Green movement really begin its rise. The anti-modernist undercurrent in Silent Spring helps explain also the book’s lack of impact in this historically environmentally conscious country. Carson had criticized blind faith in science and government, charged that greed led chemical corporations and their salesmen to promote overuse of their products, and described collusion between government, industry, and science in promotion of chemicals as opposed to other, less dangerous alternatives. Anti-modernists, who mistrusted capitalists, government, and scientists, found Carson’s analysis attractive and compelling. Silent Spring’s publication in Germany was ill-timed politically, arriving too late to appeal to the German right, and too soon to appeal to the left. In the 1950s, anti-modernist, anti-American, and pro-environmental rhetoric was mainly the province of the political right. Former Nazi Günter Schwab founded the Weltbund zum Schutz des Lebens (“World Union for Protection of Life”) in 1958 and the same year published the huge best seller, Der Tanz mit dem Teufel [Dance with the devil], which made some of the same points that Carson would. 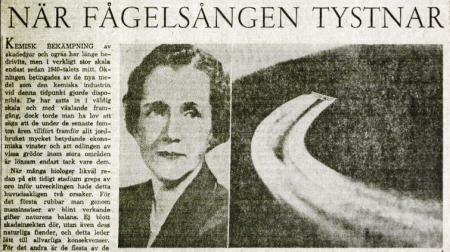 The most extensive debate in the popular German press over Carson’s book appeared in a series of generally favorable articles in the influential conservative weekly Christ und Welt, whose editor, Giselher Wirsing, was a former Nazi, SS member, and propagandist for Goebbels. 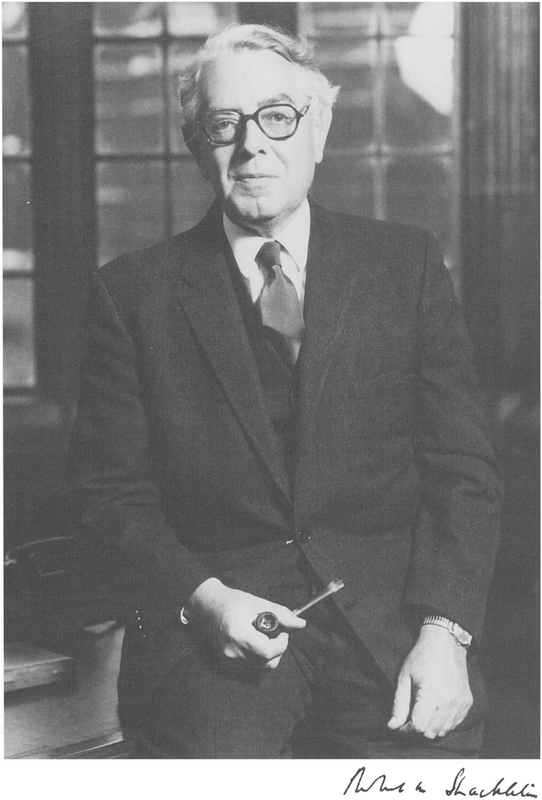 Environmentalist Herbert Gruhl of the conservative Christian Democrats would be involved with the Club of Rome’s Limits to Growth. Gruhl penned the 1975 best seller Ein Planet wird geplündert: Die Schreckensbilanz unserer Politik [The plundering of a planet], an echo of Palmstierna’s Plundring svält förgiftning and American Fairfield Osborn’s Our Plundered Planet of 1948. By 1962, however, right-wing anti-Americanism and anti-modernism were waning. The revolutionary events of 1968 washed much of the remaining Nazi taint from German environmentalism. In 1969, with his promise of “blue skies over the Ruhr,” Social Democrat Willy Brandt for the first time made the environment a major part of a German national election campaign. German and other environmentalists rediscovered Silent Spring in the early 1970s in part because its social and moral critique tallied with the anti-Vietnam-War movement and youthful cultural and social criticism. Gruhl and Petra Kelly founded the German Green Party in 1979, but the steady leftward drift of the Greens caused Gruhl to leave the party in 1981, only to find conservative political environmentalism permanently marginalized. Even so, Silent Spring may have planted an environmental awareness in Germany that steadily grew. Sales of Silent Spring soared after massive fish deaths in the Rhine in 1969 brought Carson’s point home. An example of this newly awakened German environmental consciousness is the fifteen-page special report in the 8 January 1973 issue of the news magazine Der Spiegel, “Untergang durch Wohlstand? Was Menschen vom Schwein unterscheidet” [Doomed by prosperity? What distinguishes men from swine] (30-44). Silent Spring has been a steady seller ever since and has never been out of print in German. By 2007 German editions had sold over 130,000 copies. Headlines also capture the uproar that Silent Spring caused in France [The poisons crisis of the twentieth century; Silent spring or voice crying in the desert? ; Chlorinated insecticides poison the United States; These poisons that kill parasites quickly … and man slowly; A noble voice to the rescue of Nature; and The sorcerer’s apprentices. Created by the author from originals at Beinecke Library, YCAL MSS 46 Box 62 f. 1108. Used by permission. A big hit in France, Silent Spring was in its third printing just six weeks after publication in May 1963. The French took notice for several reasons. The publisher, Plon, very well respected. The preface by Roger Heim, director of France’s National Museum of Natural History and president of the French Academy of Sciences, gave the book added scientific authority. Heim had also in 1952 authored his own book of environmental warning, Destruction et protection de la nature. The popular magazine Paris-Match published large extracts from the book, making the book and its thesis known to a broad audience. Eight programs on French radio discussed the book. Prominent French naturalists followed up on Silent Spring’s points. Heim wrote a featured article on the book’s themes, “Les animaux malades de l’homme,” in Le Figaro Litteraire (23–29 January 1964). Jean Dorst, a prominent figure in international nature protection organizations and professor and later director at the National Museum of Natural History, published Avant que nature meure [Before nature dies] in 1965 to great success. Dorst’s book was translated into seventeen languages and motivated the founding of a number of French organizations for the protection of nature. As in America, leaders in government, agriculture, and the chemical industry worried about the effect of Silent Spring. Unlike their American colleagues, they had a ready answer. On 22 May 1963, at the plenary session of the French Phytiatry and Phytopharmacy Society, to which major interests in agriculture and the pesticide industry belonged, internationally respected toxicologist René Truhaut explained that the French government protected public health through its pesticides registration system, which he claimed was extremely rigorous. For the moment, controversy was quieted. However, as the decade went on, the American debate over DDT along with worries that chemicals endangered the quality of French food inspired a growing stream of articles in the popular press, consumer and medical journals, and organic food magazines. The registration system remained the main line of defense against this growing criticism. However, the system, a legacy of the Vichy Regime of World War II, was founded to eliminate fraudulent chemical preparations, not protect public health. The Ministry of Agriculture, which oversaw the registration system, subordinated public health to the needs of agriculture. Toxicological concerns served only to safeguard agricultural workers. Finally, in 1972 the French government acknowledged public concern and reorganized the registration system to give greater weight to non-agricultural government ministries. Nevertheless, agricultural pressure prevented any prohibition of existing chemicals and ensured the approval of more. It would not be fair, they said, to prohibit in France what was available to foreign competitors. Similar to the situation in the United States and elsewhere, the registration system remained a method to protect agricultural interests and chemical companies while giving the public the impression of safety and security and suppressing a potentially powerful political issue.